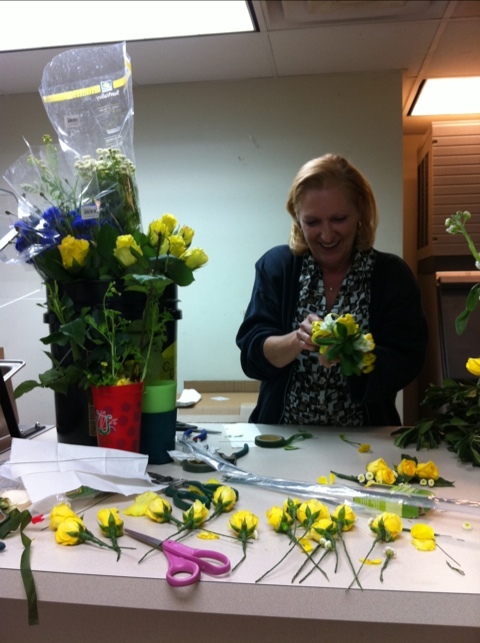 The flurry of final tasks rolls on with all of us in the AXO basement working on all of the flowers. It’s almost here! This entry was posted in Uncategorized, Wedding and tagged Blue and Yellow, boutonierres, corsages, flowers, mando. Bookmark the permalink.